In September 1914 the Welsh Border Mounted Brigade moved to Norfolk for coastal defence purposes. The following letter by a man serving with the Brigade in the Royal Army Medical Corps provides some indication of the 'spirit of the times'. RUNCORN MAN WITH THE R.A.M.C. “We have been here four weeks,” writes Mr. Faulkner, “during which time a great many have gone to the front. Twenty of our men left here a fortnight ago to fill the places of some members of the Royal Army Medical Corps who were cut up while doing their duty to their wounded comrades, and to their country, at the battle of Mons. There were touching scenes when we parted with twenty chums, but most of the sorrow was due the fact that we were not going. Still we hope to meet them at the front some time next month. While we have been here we have chiefly been concerned with accident cases, arising out of ‘preparations,’ and it is interesting to know that we have not had more than an average of 23 sick men, day by day, which is an excellent record, and proves the good health the brigade. “It was my pleasure to meet Mr. Jersey de Knoop yesterday, and to find him as genial a soldier as is a politician. He was inoculated at our hospital here with amo-toxin (typhoid serum) and has left for abroad to-day (Thursday) to take up his active duties. I could not help being impressed by his kindliness and courtesy. The Welsh Border Mounted Brigade, which includes many from Cheshire, have volunteered to a main, and have been accepted for the front. Charles was born at Runcorn in the second quarter of 1887, the son of Peter and Margaret Faulkner. In 1911 his occupation was a bank clerk. To be confirmed, but the only matching record found for his death is Charles G. Faulkner, aged 65, at Fylde, Lancashire, in 1953. When first posted overseas C.G. Faulkner’s rank was Corporal (no. 1364), and he was later promoted to Sergeant. Men serving in the Royal Army Medical Corps units of the Territorial Force got new numbers in 1917, blocks of numbers being allocated to specific units. His new service number was 362028, which was allocated to the Welsh Border Mounted Brigade Field Ambulance. Jersey De Knoop whom received mention in the letter quoted above served with the Cheshire Yeomanry and was Captain of B Squadron when the Regiment embarked for Egypt in March 1916. In April 1916 he joined the Imperial Camel Corps. Just a few months later, in August 1916, he was killed by a sniper’s bullet. 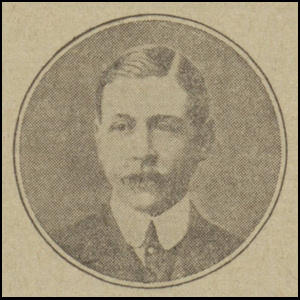 We regret to learn that Captain Jersey de Knoop, of Calveley Hall, Tarporley, formerly Unionist candidate for Northwich, has been killed in action while serving in Egypt in command of a camel corps. The news of his death, though not officially communicated, is from a private source of a most reliable character, and widespread sympathy will be accorded to Mrs. Knoop and the son and four daughters bereaved by the gallant captain's death. Captain de Knoop, who was well known, and popular throughout Cheshire as a sportsman, and whose generosity won him the admiration of all who came in contact with him, was forty years of age. He was born in Manchester, his father and grandfather being partners in the firm of merchants now known as De Jersey and Co., and himself became a director of the company, but he has lived in Cheshire practically ever since he left Oxford. It may be remembered that lived at Knutsford and Cuddington before taking up his residence at Calveley Hall. He was educated at Eton and New College, distinguished himself as a lover of sport both school and university, and rowed for two years in the Varsity eight. His love of sport was preserved throughout his life, and was he particularly fond of shooting and hunting. For many years he had been a prominent member of the Cheshire Hunt. Holding a commission lieutenant in the Cheshire Yeomanry he was given a captaincy when the war began and was wounded while serving in France about a year ago. He then returned home for a short time, and was afterwards sent to Egypt with a detachment, and there given command of a camel corps. Standing in the Conservative interest for the Northwich division during the 1911 election, he polled 5,740 votes against the 6,071 secured by Mr. J. F. L. Brunner, whose majority the previous election had been larger by 700 votes than this occasion. Captain de Knoop's straightforward manliness was a quality which commanded respect, and his death naturally calls to mind the courageous action which he took earlier in the war in declaring the need for improvements in the supply of munitions, a need which was that at that time not generally recognised, though the whole world now knows how great it was.